Durable genuine porcelain enamel with yellow and orange zones on brown case - shows safe flue temperatures at a glance. Rugged steel case for long life. 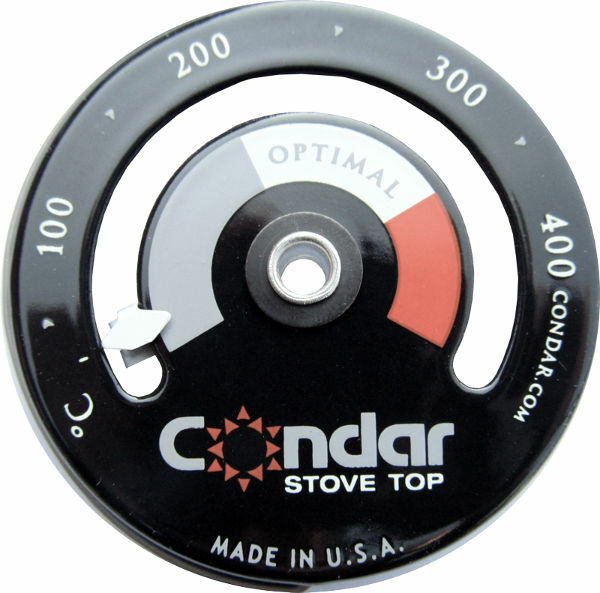 The top quality thermometer for stove or stovepipe. Ensure your stove is operating at the correct temperature by using this magnetic thermometer that attaches to your wood or gas stove. If your stove is too cold then creosote deposits will form, if it's too hot then you are wasting energy and could damage your Ecofan.